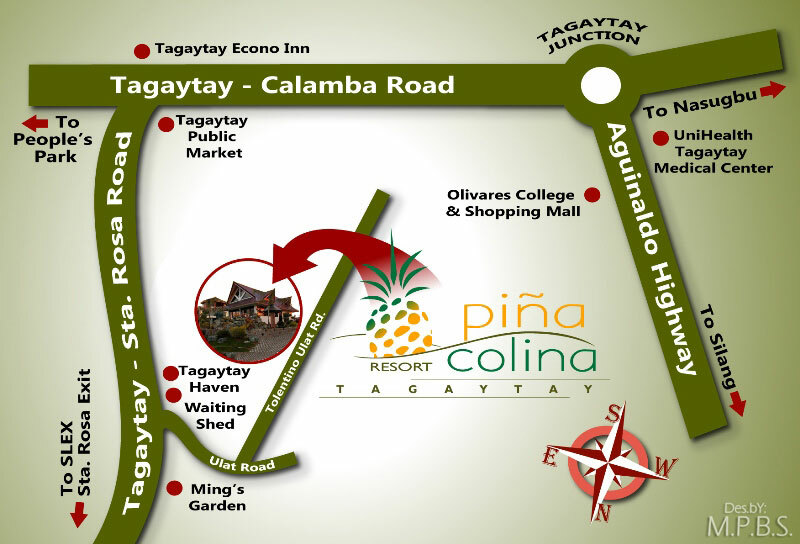 ﻿ Maps & Direction - Piña Colina Resort - Your Affordable Tagaytay Hideaway! Piña Colina Resort - Your Affordable Tagaytay Hideaway! 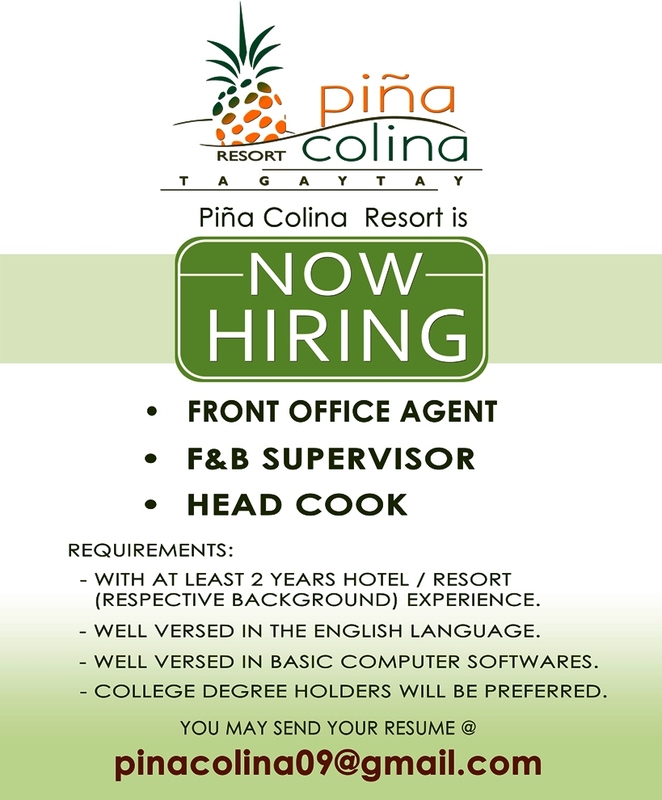 Here's to show you how to get directions to Piña Colina Resort. From Manila, take a bus (Baclaran-Roxas Blvd., Cubao, Pasay, etc.) going to Tagaytay Rotunda/Olivarez via Aguinaldo Highway. From Festival Mall (outside of Goldilocks) in Alabang, take the van going to Tagaytay via Sta. Rosa Highway. Along SLEX, the bus will take the Sta. Rosa exit. After 20 - 25 minutes, along Sta. Rosa Highway, get off at blue & yellow waiting shed on the right side of the road (Sta. Rosa-Tagaytay Hi-way) The shed is located just before Tagaytay Haven Hotel (big green signage). At the waiting shed, you may take a tricycle or just walk to Piña Colina. It's only 150 meters away. If you have concerns or requests (ex. quotations), please make sure that you fill out all fields before submitting your inquiry. Kindly include the specifics like the date, No. of guests, No. of meals (if any) and preferred unit/s. © 2016 Piña Colina Resort by: Myke's Desk.